Since 1945 the Bisetti family has manufactured the highest quality coffee and peppermills near the lake Orta in the Piemonte region in Italy. From the beginning Bisetti has valued the proud tradition of turned wood, which is unique to the Strona valley. For over 80 years they have made beautiful and functional mills. 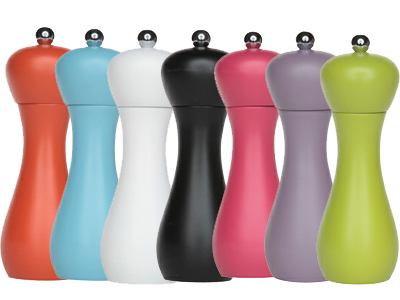 The mills from Bisetti come in a vast variety of sizes and colours. The common denominator is quality, function and tradition.